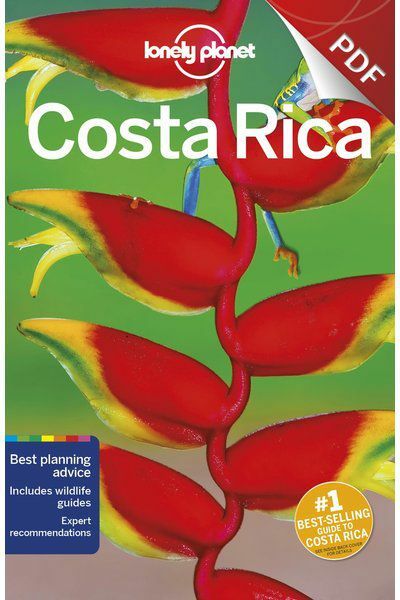 Packed full of trustworthy and up-to-date advice, check out the new Lonely Planet Costa Rica travel guide. Centering yourself on a surfboard or yoga mat, descending into bat-filled caves or ascending misty volcanic peaks, hiking, biking or ziplining. Pick a river for some heart-pounding white-water rafting; lounge in a hammock or snorkel off uncrowded beaches on the Southern Caribbean Coast; and spot monkeys, crocs, toucans and iguanas - your only limit is your return date. Get to the heart of Costa Rica and begin your journey now! Lonely Planet writer Brian Kluepfel explains why he loves Costa Rica. "We New Yorkers never really ease up. In Costa Rica, there's no choice. I learned to surf. I enjoyed a gallo pinto breakfast with rich, dark local coffee. And I found lots of people living the expat dream: yoga practitioners, organic farmers, surfer chefs and mountain bikers. As a birder, i was amazed daily i picked one hotel because two trogans were perched on a branch outside, and my raft tailed a cormorant down raging rapids in Sarapiqui. But my favorite moment was when a new Tico friend texted me: "Hey, man, you're in Costa Rica. Relax!" 3. Volcan Arenal & Hot Springs. 5. Parque Nacional Manuel Antonio. Discover this fascinating country with your trusted travel companion. Get to the heart of Cost Rica, and begin your journey now!